In collaboration with gmp Architects, ADA was involved in the acoustic design of three football stadiums in South Africa for the 2010 FIFA World Cup. 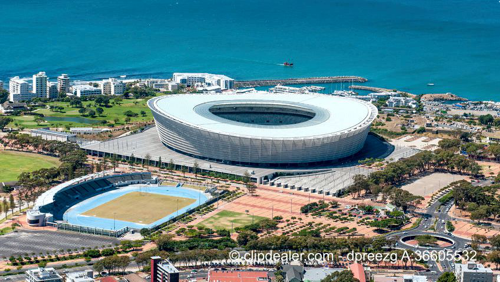 In Cape Town, the task not was only designing the sound reinforcement system in accordance with FIFA's requirements, but also the investigation of noise emission from the new stadium and its sound system in the neighboring development in the direction of Tafelberg. While ADA was solely responsible for the competition for the new project in Port Elisabeth, the final result of the project and the influence of the Vuvuzelas were examined on site in the stadium in Durban.